Do you want to earn more money starting today?. Talk Too Me’s Discount Operator Service is HUGE for the consumer and our SmartPSP™! Talk Too Me provides guaranteed discount call rates to consumers via multiple options that are provided at each payphone, hospitality site, inmate facility, or halfway house. All callers can place calls to all land lines, all cell phone numbers, all IP Broadband lines, and the majority of International land lines, cellular and IP Broadband lines. All calls billed using these Nationwide discounted call numbers will provide “Savings Up To 50%” under the call rates of other Operator Services call rates. 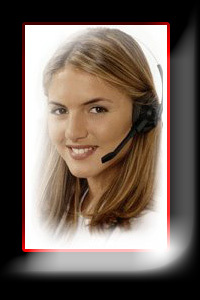 are advertised Nationwide…and continue to be used by callers in every state…every day! The discount call rates have been consistent for years and are valued as a great calling solution for callers worldwide; moreover, specific to our customers, this service to your business has been proven to increase Payphone Services Providers commissions month after month, year after year! We have the leading proven signage that will work for you today. Simply call our Sales team and request your commission plan and begin taking advantage of new revenue on your entire payphone or hospitality service!